River Island finally ditching Flash site? River Island is one of the only high street retailers which hasn’t significantly improved its e-commerce offering over the past couple of years, and still retains an all-Flash website. I have been wondering for a while when River Island would look to improve the site, and Paul Rouke of PRWD has a few answers after attending a Q&A with CEO Richard Bradbury last night. The problems with River Island’s Flash site were identified when it was first launched in 2006 – this discussion on the Econsultancy forum covers the issue – and it seems to have taken a long time to produce an accessible non-Flash version. River Island made the mistake of not considering disabled users in the design phase of the website and consequently excludes a significant proportion of the population from its website. It has displayed this apology page for more than a year now, advising disabled users to ‘watch this space‘. Despite the accessibility issues, Bradbury says that River Island’s e-commerce channel is performing well, though I wonder how much better it could perform? It isn’t just the lack of accessibility, the website could also be more user friendly for all visitors. The navigation could be better, basics like contact details are impossible to find, while River Island has also suffered in terms of SEO by sticking to Flash for so long. Despite Google’s recent moves to start indexing Flash sites, River Island still performs poorly in the organic search rankings, even for precise searches on products I know are on the website. It has also performed poorly in a recent eDigital Research customer satisfaction survey, with the lowest mark out of 39 top UK e-tailers, and scoring badly for site search and navigation, as well as customer service. In response to Paul’s question about the Flash site, Bradbury did say that the company is ‘in the process of moving away from our current flash based retail site’, and that relaunch is due later this year. I think that, however well River Island’s e-commerce channel may be performing at the moment, losing the Flash site and moving towards more of a ‘best practice driven e-commerce operation‘ as Paul puts it, could have a huge impact on its success. I’m just surprised that it has taken so long. 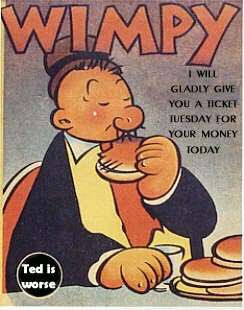 I will gladly pay you Tuesday for an advertisement today. Well, make that four months from Tuesday. That’s no problem, is it? As the Feds bail out the banks, the advertisers have apparently decided their agencies are banks. At least, that’s how they’re treating them when it comes to payment terms. Both the Wall Street Journal and Ad Age are taking a long, hard look at the story today. remaining half when the ad is finished. Earnings season is in full swing and while there were a few pieces of “serious” news that I found interesting, it was a story of a virtual murder from Japan that took the cake. It’s around six months since I last threw out some truly mindboggling pieces of data surrounding social media. So, what’s happened between then and now? I try to put as much information as I can into Econsultancy’s Social Media Statistics, which is part of our Stats Compendium (a truly awesome resource) but I find it’s always interesting to go back and review the old against the new. So, I’ve collected as much as I can from my previous insane snippets of data and benchmarked it against the here and now, alongside rooting out some new stuff for you to mull over.